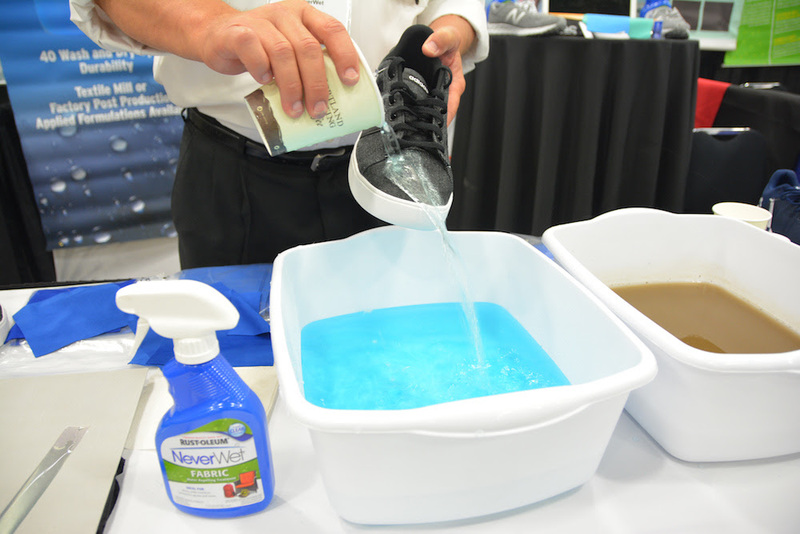 The NW Materials Show is the West Coast’s premier opportunity for footwear and apparel suppliers and buyers to start and grow lasting relationships face-to-face. The show welcomed suppliers from across the globe and some of the industries’ biggest buyers, including Nike, adidas, Columbia, Patagonia and more. Networking opportunities extended beyond the show floor to lunches, cocktail mixers and breakout sessions. The show floor offered an opportunity to hold, test and feel the product lines of hundreds of vendors and see their latest innovations—without the back-and-forth of email requests for swatches. The Materials Show puts the world of material and componentry in the hands of attendees.